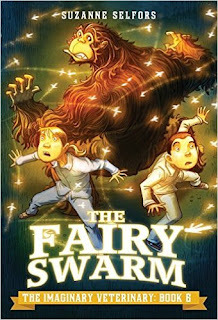 I had a great time Tuesday night at Eagle Harbor Book Company celebrating THE FAIRY SWARM by Suzanne Selfors. 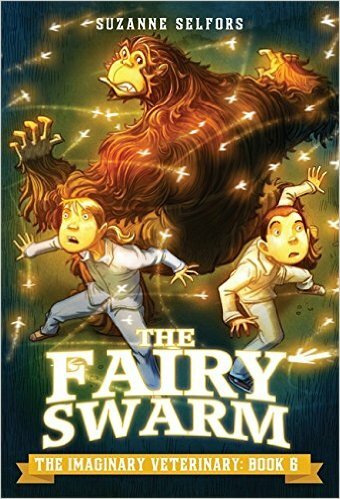 THE FAIRY SWARM is the final book in The Imaginary Veterinary series. 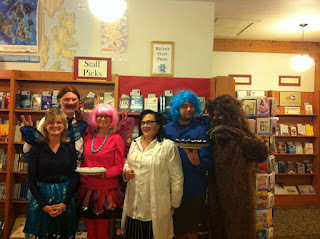 I love that series--love--so I was tickled to dress up as a sugar fairy for the party! It was such a fun event! If you're unfamiliar with the The Imaginary Veterinary series, check out this page on Suzanne's website. There are fabulous book trailers, an activity kit, reviews, and more. What's your favorite book series? Tell me, tell me, tell me! They grow so fast. *sigh* But since this isn't a poultry blog, let's move on! It was exciting to see friends make the list of finalists for the Washington State Book Awards. 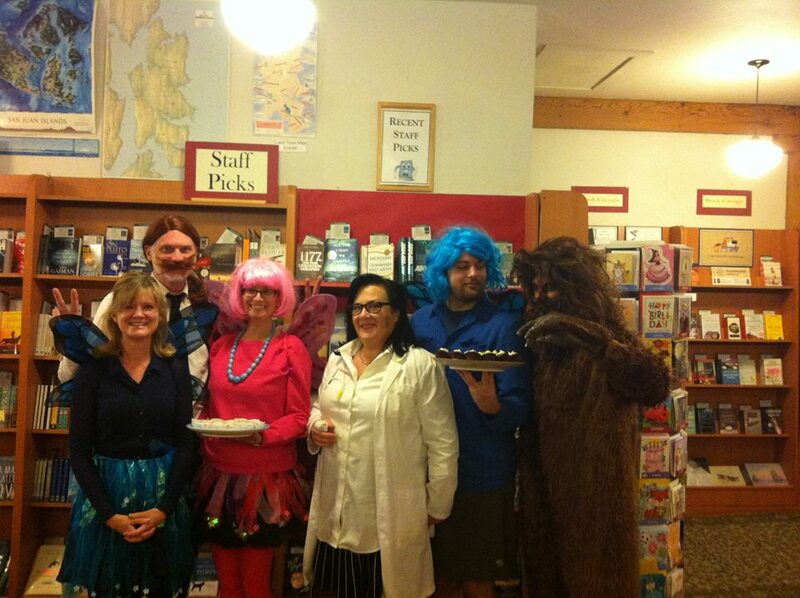 A group of us, new friends and old, got together to celebrate the finalists before the winners were announced at the Central Library in Seattle. Jennifer Mann won the picture book category for TWO SPECKLED EGGS. Woo-hoo! Here she is accepting her award and then reading her book. Congratulations to the finalists and winners! Of course, you're ALL winners! What a huge accomplishment! 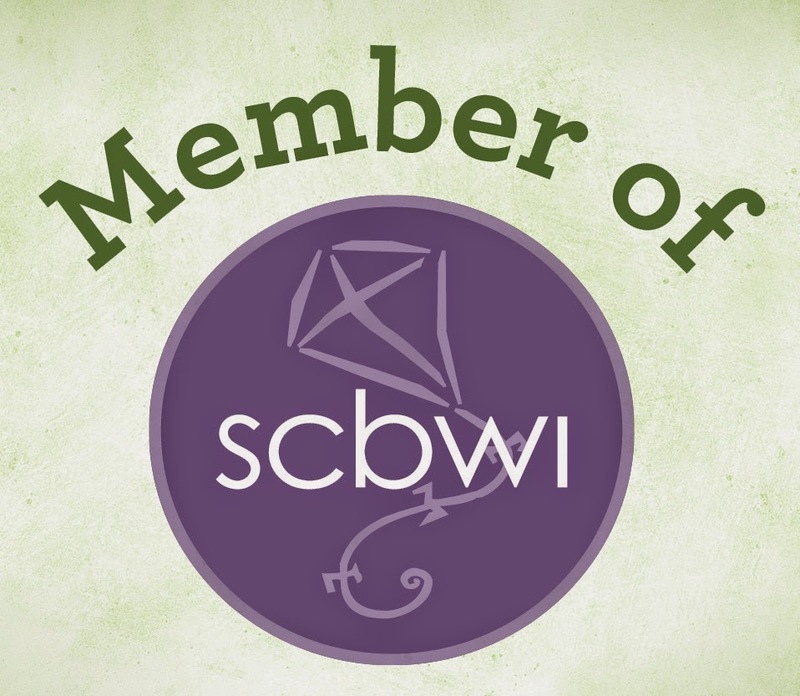 Last week, SCBWI-Western Washington kicked off the 2015-2016 season of monthly programming with our first meeting. Agent Barry Goldblatt was our featured speaker. I'd heard him speak before (as well as his fabulous client and wife, Libba Bray), but it's always a great opportunity to hear the latest and learn more. It's especially convenient when you don't have to fly to LA or New York to do so. Today I met with my critique partner Faith Pray. Such a fun morning! I feel so fortunate to have three incredible critique partners. Each of them brings piles of talent, knowledge, encouragement, and inspiration to the table, and each shines and sheds her own unique light. I learn so much from all three individuals. I hope to give as much as I receive! I'll meet with Margaret and Jen this coming week. Oh! And reading! 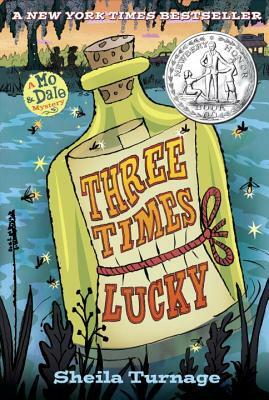 I just read THREE TIMES LUCKY by Sheila Turnage. What a voice! I devoured it. It's such a great book! How about you? How has your month been? Have you read anything wonderful lately?